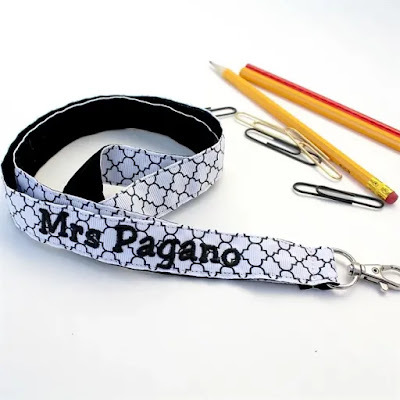 Head over to check out these Personalized Teacher Lanyards for ONLY $7.99 (Retail $14.99)! Lanyards make great gifts for teachers, nurses, coworkers, etc. Great for your kids back to school! Grab it with their favorite sport! Lanyards are 36" around ribbon, backed with ribbon to cover the stitches. Lanyards come with a swivel clip.